by Poppy Flint, Clare Pettinger, Victoria Schoen, Ruth Segal, Rachael Taylor, Bella Wheeler and Carol Williams. 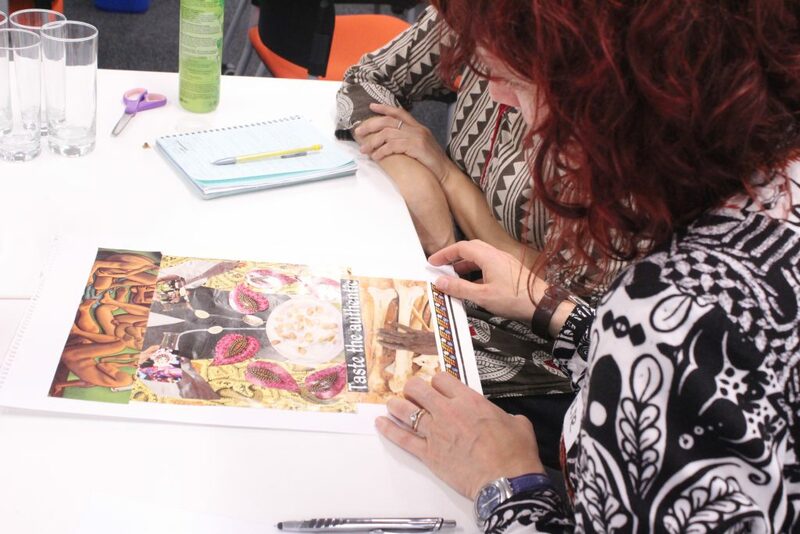 This Briefing Paper is intended to share ideas and learning arising from the authors’ experiences of using arts-based methods in food research and engagement, as well as to give some insights into the issues that arose from a workshop for academics and Civil Society Organisations (CSOs) developed by Brighton and Sussex Universities Food Network (BSUFN) and hosted by the Food Research Collaboration (FRC) in 2016. 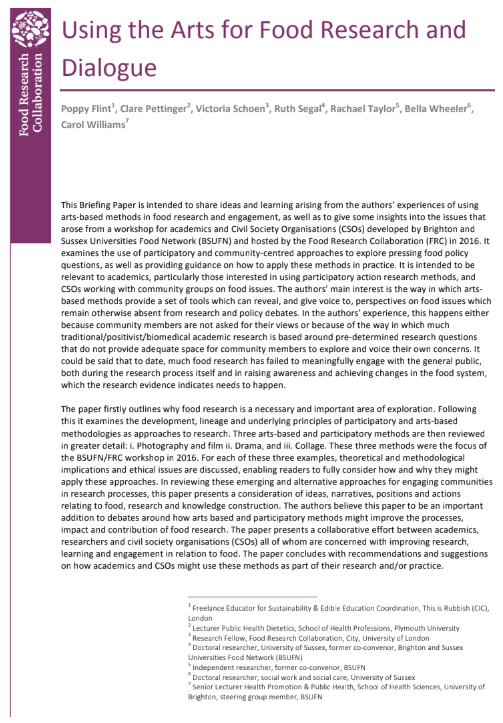 It examines the use of participatory and community-centred approaches to explore pressing food policy questions, as well as providing guidance on how to apply these methods in practice. It is intended to be relevant to academics, particularly those interested in using participatory action research methods, and CSOs working with community groups on food issues. Fantastic – I am a graphic facilitator in sustainable food and agricultural systems, and strongly believe that art as a visual medium is the way forward when it comes to communicating often complex topics, especially for marginalised or even illiterate groups who are important voices in the future of our sustainable food systems. Thank you for publishing this. I shall share it via my website.